"Home care" encompasses a spectrum of healthcare and social services that are delivered in the comfort and privacy of one's home to those persons who are in need of nursing, therapy, social services, nutritional and personal care support. Health Plus Home Health Care provides medical services to help our patients recover from temporary conditions such as a joint replacement or manage more chronic illnesses such as diabetes, heart disease, pulmonary disease, or arthritis. The home is the appropriate place to deliver healthcare to those persons who wish to remain independent but have the need for care that is beyond the scope and ability of family and friends to provide. Home care providers deliver highly skilled services in conjunction with modern technology that enables the elderly, chronically ill, disabled and recuperating patient to receive sophisticated medical treatment in the comfort and privacy of their home where their personal surroundings are more conducive to recovery. Home care is quickly becoming the central focus for delivering healthcare. The home is preferred over institutionalized care. The industry continues to demonstrate that the home is the most cost effective place to deliver care. Why choose Health Plus Home Health Care for your health care needs? Our leadership has a 25 year history of providing exceptional patient care to our local community. The Health Plus Home Health Care team is directly overseen by our Agency Physician, Physician Assistant Certified and Registered Nurse. All services are staffed with advanced trained specialists in their fields, insuring that exceptional treatment is provided at every patient encounter. We recognized that recovery from an illness and caring for a loved one is more than a 9-5 job. Our staff is available 24/7/365 whatever your needs might be. We are a local home health agency, clinician owned and operated. Our owners are committed to and personally responsible for the high level of care and service provided to our patients. And work directly with our staff, patients, caregivers and referring physicians. Our agency has earned health care accreditation by The Joint Commission, the nation’s largest and oldest standards-setting accreditation body in health care. Call us and we will be able to answer your questions and discuss what home health care services are, how you may benefit from the services, how are services ordered and paid for and who qualifies for home health services. Do you require therapy, skilled nursing services or home medical equipment? What is the referral process to start receiving your home health services? 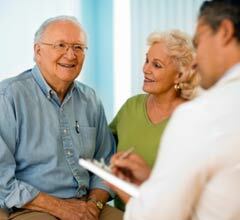 In order for you to receive home health care, your physician will need to give us a referral. We can assist you and your physician in this process. Please call 619-223-2779 and we will gladly answer your questions and help with the referral process. Home health is skilled medical care and is provided in the patient's place of residence. The patient is considered home bound and the skilled home health medical care is provided on an interim basis under the orders of the patient's physician. How do we protect your health care privacy? At Health Plus Home Health Care, we believe that you are in control of your health and the decisions about your health. We are passionately committed to supporting your decisions. We support a Patient Bill of Rights and Responsibilities. Knowing your rights and role as a patient will help you make better decisions about your health care. Federal law obligates home care agencies to inform patients of their rights and responsibilities before care is provided. The law guarantees an individual receiving homecare the right to participate in the healthcare decisions that directly affect them and the responsibilities the individual accepts in participating in these decisions. Many questions arise concerning how to determine what treatment is best, what happens if an individual is too sick to decide, etc. An advance directive allows you to give instructions to your health care providers and your family on health care decisions about yourself. This includes instructions about the types of treatments you want or don't want to receive if you become incapacitated. The term advance directive can describe a variety of documents. Living Will and Health Care Power of Attorney documents are types of advance directives. The term advance directive may be used to refer to any of these specific documents or all of them in general. What local community resources are available to you? Health Plus Home Health Care does not discriminate against any person on the basis of race, color, national origin, disability, or age in admission, treatment, or participation in its programs, services and activities, or in employment. Please call us and we will happy to address your questions and concerns.